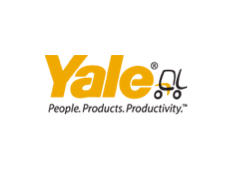 Sine Qua Non (SQN) has been appointed by Yale Europe Materials Handling to act as the company’s lead PR agency for the EMEA region. Henley-based SQN won the account following a competitive multi-agency pitch and started working on the account effective 1 July 2016. SQN Directors Chris Ritchie and Chris Hughes lead the account, reporting directly to Yale EMEA PR & Promotions Executive Karen Waddington. SQN will be overseeing press activities and cascading articles across EMEA, coordinating with Yale PR agencies in Germany and Italy.